Frederick Landis Fitzsimmons (July 28, 1901 – November 18, 1979) was an American professional baseball right-handed pitcher, manager, and coach, who played in Major League Baseball (MLB) from 1925 to 1943 with the New York Giants and Brooklyn Dodgers. Nicknamed "Fat Freddie" (he carried as much as 205 pounds (93 kg) on his 5 feet 11 inches (1.80 m) frame),  and known for his mastery of the knuckle curve, Fitzsimmons' 217 wins were the third most by a National League (NL) right-hander in the period from 1920 to 1955, trailing only Burleigh Grimes and Paul Derringer. In 1940 he set an NL record, which stood until 1959, with a single-season winning percentage of .889 (16–2). He was an agile fielder in spite of his heavy build, holding the major league record for career double plays (79) from 1938 to 1964, and tying another record by leading the league in putouts four times; he ranked eighth in NL history in putouts (237) and ninth in fielding percentage (.977) when his career ended. Born in Mishawaka, Indiana, Fitzsimmons broke in with the Giants in August 1925, posting a 6–3 record over the rest of the year. After seasons of 14 and 17 wins, he earned a career-high 20 victories in 1928, a year which saw the arrival of teammate Carl Hubbell; until Fitzsimmons' departure in 1937, the two formed a formidable left-right combination at the heart of the Giants' staff. In 1930 he led the NL in winning percentage for the first time with a 19–7 record (.731), and an 18–11 season followed in 1931. In 1933, the first full season after Bill Terry took over from John McGraw as manager, he won 16 games with a 2.90 earned run average as the Giants won the NL pennant; in the 1933 World Series against the Washington Senators, he suffered a 4–0 defeat in Game 3, though it was New York's only loss as they captured their first title since 1922. Mishawaka is a city on the St. Joseph River, in Penn Township, St. Joseph County, in the U.S. state of Indiana. The population was 48,252 as of the 2010 census. Its nickname is "the Princess City." 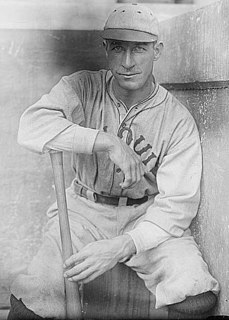 Carl Owen Hubbell, nicknamed "The Meal Ticket" and "King Carl", was an American baseball player. He stood 6 feet 0 inches (1.83 m) tall and weighed 170 pounds (77 kg). He was a member of the New York Giants in the National League from 1928 to 1943. He remained on the team's payroll for the rest of his life, long after their move to San Francisco. Fitzsimmons had another 18-win season in 1934, and led the NL in putouts for the fourth time, tying Grover Cleveland Alexander's major league mark. However, his career then began to plateau. He had years of 4–8 and 10–7 in 1935 and 1936, with the Giants winning the NL pennant again the latter year; he led the NL in shutouts in 1935, blanking opponents in all 4 of his victories. His troubles returned in the 1936 World Series against the New York Yankees; he lost Game 3 by a 2–1 score, and was bombarded in the final Game 6 loss, leaving in the fourth inning while trailing 5–2. After a 6–10 start in 1937, he was traded to the Dodgers in June for reliever Tom Baker, who made only 15 appearances for the Giants. Brooklyn shortstop Leo Durocher praised his new teammate's competitiveness, saying, "I wish we had nine guys like Fitz. We'd never lose." Though his record in 1938–1939 totaled only 18–17, in 1938 he tied Grimes' mark of 74 career double plays, passing him the following year; Warren Spahn broke his record in 1964. He came back in 1940 with a 16–2 campaign, finishing fifth in the MVP voting. His .889 winning percentage broke the NL record of .842 (16–3) shared by Tom L. Hughes (1916 Boston Braves) and Emil Yde (1924 Pittsburgh Pirates), and stood until Roy Face posted an 18–1 mark (.947) with the 1959 Pirates. Grover Cleveland Alexander, nicknamed "Old Pete", was an American Major League Baseball pitcher. He played from 1911 through 1930 for the Philadelphia Phillies, Chicago Cubs, and St. Louis Cardinals. He was elected into the Baseball Hall of Fame in 1938. Fitzsimmons made only 12 starts in 1941, going 6–1 as the Dodgers won their first pennant since 1920. He almost earned his long-elusive World Series victory against the Yankees, holding them to four hits through seven innings in Game 3. But he was forced to leave with a 0–0 score after being struck in the kneecap by a line drive hit by Marius Russo, which caromed into Pee Wee Reese's glove to end the inning. His replacement surrendered two runs in the eighth, and New York triumphed 2–1. Following his knee injury, Fitzsimmons made only one start in 1942 and served as a coach on player-manager Durocher's staff. He then returned to the active list and made nine appearances for the 1943 Dodgers before Brooklyn released him July 27. The following day, the tail-ending Philadelphia Phillies tabbed him as their manager, replacing Bucky Harris and ending Fitzsimmons' playing career. He compiled a 217–146 (.598) record with an ERA of 3.51 and 870 strikeouts in 513 games and 3,223​2⁄3 innings pitched. Fitzsimmons was a better than average hitting pitcher in his career. He compiled a .200 average (231–1155) with 112 runs, 103 RBI and 14 home runs. In 1930, 1931, and 1932 as a member of the New York Giants, he drove in 13, 18, and 10 runs respectively. In four World Series appearances, he batted .375 (3–8). He managed the Phillies through the middle of the 1945 season, compiling only 105 wins against 181 losses (.367). In 1943 and 1944, he also served as general manager of the Brooklyn Dodgers in the All-America Football Conference. After World War II, Fitzsimmons became a coach with the Boston Braves (1948), Giants (1949–1955), Chicago Cubs (1957–1959; 1966), and Kansas City Athletics (1960). He also managed in minor league baseball. 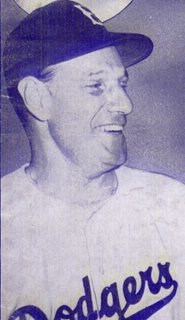 On Durocher's Giants staff, Fitzsimmons finally earned a championship as a coach for the 1954 World Series team. Gilbert Ray Hodges, neHodge was an American Major League Baseball (MLB) first baseman and manager who played most of his 18-year career for the Brooklyn and Los Angeles Dodgers. He was inducted into the New York Mets Hall of Fame in 1982. Edwin Donald "Duke" Snider, nicknamed "The Silver Fox" and "The Duke of Flatbush", was an American professional baseball player. Usually assigned to center field, he spent most of his Major League Baseball (MLB) career playing for the Brooklyn and Los Angeles Dodgers (1947–1962), later playing one season each for the New York Mets (1963) and San Francisco Giants (1964). Leo Ernest Durocher, nicknamed Leo the Lip and Lippy, was an American professional baseball player, manager and coach. He played in Major League Baseball as an infielder. Upon his retirement, he ranked fifth all-time among managers with 2,009 career victories, second only to John McGraw in National League history. Durocher still ranks tenth in career wins by a manager. A controversial and outspoken character, Durocher had a stormy career dogged by clashes with authority, the baseball commissioner, umpires, and the press. Carl Anthony Furillo, nicknamed "The Reading Rifle" and "Skoonj", was a right fielder in Major League Baseball who played his entire career for the Brooklyn and Los Angeles Dodgers. A member of seven National League champions from 1947 to 1959 inclusive, he batted over .300 five times, winning the 1953 batting title with a .344 average – then the highest by a right-handed hitting Dodger since 1900. Noted for his strong and accurate throwing arm, he recorded 10 or more assists in nine consecutive seasons, leading the league twice, and retired with the fifth-most games in right field (1408) in NL history. William Jennings Bryan Herman was an American second baseman and manager in Major League Baseball (MLB) during the 1930s and 1940s. Known for his stellar defense and consistent batting, Herman still holds many National League (NL) defensive records for second basemen and was inducted into the National Baseball Hall of Fame in 1975. John Junior Roseboro was an American professional baseball player and coach. He played as a catcher in Major League Baseball from 1957 until 1970, most notably for the Los Angeles Dodgers. Roseboro was a four-time All-Star player and won two Gold Glove Awards for his defensive skills. He was the Dodgers' starting catcher in four World Series with the Dodgers winning three of those. He is considered one of the best defensive catchers of the 1960s. Roseboro was known for his role in one of the most violent incidents in baseball history when Juan Marichal struck him in the head with a bat during a game in 1965. William Frederick Dahlen, nicknamed "Bad Bill" for his ferocious temperament, was an American shortstop and manager in Major League Baseball who played for four National League teams from 1891 to 1911. After twice batting over .350 for the Chicago Colts, he starred on championship teams with the Brooklyn Superbas and the New York Giants. At the end of his career he held the major league record for career games played (2,443); he ranked second in walks and fifth in at bats (9,033), and was among the top ten in runs batted in (1,234), doubles (414) and extra base hits (661). He was also among the NL's top seven players in hits, runs (1,589), triples (163) and total bases (3,447). After leading the league in assists four times and double plays three times, he set major league records for career games (2,132), putouts (4,850), assists (7,500), total chances (13,325) and double plays (881) as a shortstop; he still holds the record for total chances, and is second in putouts and fourth in assists. His 42-game hitting streak in 1894 was a record until 1897, and remains the fourth longest in history and the longest by a right-handed NL hitter. Charles Walter Dressen, known as both Chuck and Charlie, was an American third baseman, manager and coach in professional baseball during a career that lasted almost fifty years, and was best known as the manager of the Brooklyn Dodgers of 1951–53. Indeed, Dressen's "schooling" of a young baseball writer is one of the most colorful themes in Roger Kahn's classic memoir, The Boys of Summer. He threw and batted right-handed and was listed at 5 feet 5 inches (1.65 m) tall and 145 pounds (66 kg) during his days as an active player. Burton Edwin Shotton was an American player, manager, coach and scout in Major League Baseball. As manager of the Brooklyn Dodgers, he won two National League pennants and served as Jackie Robinson's first permanent Major League manager. James Tolbert Hearn was an American professional baseball player, a pitcher in Major League Baseball for 13 seasons (1947–59). The right-hander was listed as 6 feet 3 inches (1.91 m) tall and 205 pounds (93 kg). William Joseph Rigney was an American infielder and manager in Major League Baseball. A 26-year big-league veteran, Rigney played for the New York Giants from 1946 to 1953, then fashioned an 18-year career as a manager with the Giants, Los Angeles/California Angels and Minnesota Twins. The Bay Area native was the last manager of the Giants in New York City (1957), and their first in San Francisco (1958). Three years later, Rigney became the first manager in Los Angeles Angels of Anaheim franchise history. Henry Knight "Heinie" Groh was an American professional baseball player. He played as a third baseman in Major League Baseball, spending nearly his entire career with the Cincinnati Reds and New York Giants. He was the National League's top third baseman in the late 1910s and early 1920s, and captained championship teams with the 1919 Reds and 1922 Giants. Renowned for his "bottle bat", he was an effective leadoff hitter, batting .300 four times and leading the league in doubles twice and in hits, runs and walks once each. Adolph Louis Camilli was an American first baseman in Major League Baseball who spent most of his career with the Philadelphia Phillies and Brooklyn Dodgers. He was named the National League's Most Valuable Player in 1941 after leading the league in home runs and runs batted in as the Dodgers won the pennant for the first time since 1920. He was the ninth NL player to hit 200 career home runs, and held the Dodgers franchise record for career home runs from 1942 to 1953. His son Doug was a major leaguer catcher in the 1960s. His brother, who boxed under the name Frankie Campbell, died of cerebral hemorrhaging following a 1930 match with Max Baer. Herman Louis Franks was a catcher, coach, manager, general manager and scout in American Major League Baseball. He was born in Price, Utah, to Italian-American immigrant parents and attended the University of Utah. Charles Stoneham "Chub" Feeney was an American front office executive in Major League Baseball and president of the National League (NL) during a 40-plus year career in baseball. The 1933 Cincinnati Reds season was a season in American baseball. The team finished eighth and last in the National League with a record of 58–94, 33 games behind the New York Giants. The 1939 Brooklyn Dodgers started the year with a new manager, Leo Durocher, who became both the team's manager and starting shortstop. They also became the first New York NL team to have a regular radio broadcast, with Red Barber handing the announcers job, and the first team to have a television broadcast. The team finished in third place, showing some improvement over the previous seasons. 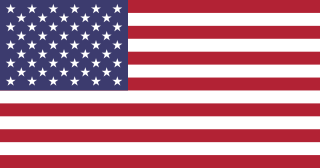 The 1946 National League tie-breaker series was a best-of-three playoff series at the conclusion of Major League Baseball's (MLB) 1946 regular season to decide the winner of the National League (NL) pennant. The games were played on October 1 and October 3, 1946, between the St. Louis Cardinals and Brooklyn Dodgers. It was necessary after both teams finished the season with identical win–loss records of 96–58. This was the first ever tie-breaker series in MLB history. The Cardinals won the regular reason series, 16-8. ↑ Spink, J. G. Taylor; Rickart, Paul A.; Abramovich, Joe (1958). The Sporting News 1958 Official Baseball Register. St. Louis, Missouri: The Sporting News. p. 273. ↑ "Fitzsimmons Dies Of Heart Attack". Sarasota (FL) Herald-Tribune. Associated Press (AP). December 16, 1979. p. 4-C. Retrieved February 18, 2019. Interview with Fred Fitzsimmons (sound recording) by Dr. Eugene Murdock on June 16, 1978, in Yucca Valley, Calif. (1 hr.). Available on the Cleveland Public Library's Digital Gallery.